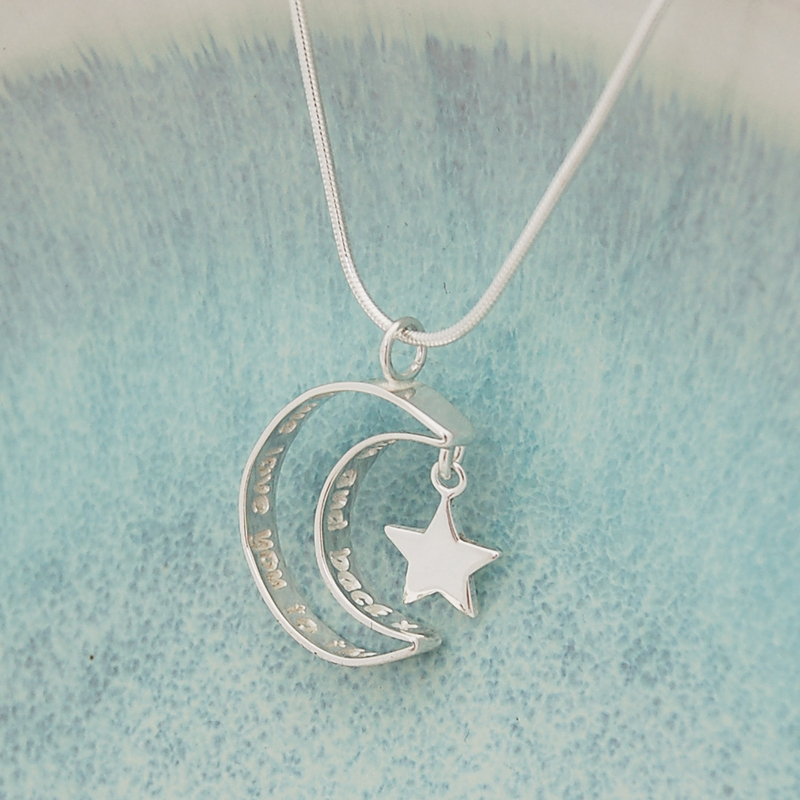 Bring the expression 'Love you to the Moon and Back' to life with our handmade personalised sterling silver secret message moon necklace. Love you to the Moon and Back is a popular expresssion to show the magnitude of love for someone special, especially from little ones to their parents and so we have designed this very unique moon shaped necklace with it's own dangling star that you can personalise on the inside with your special 'moon' message! 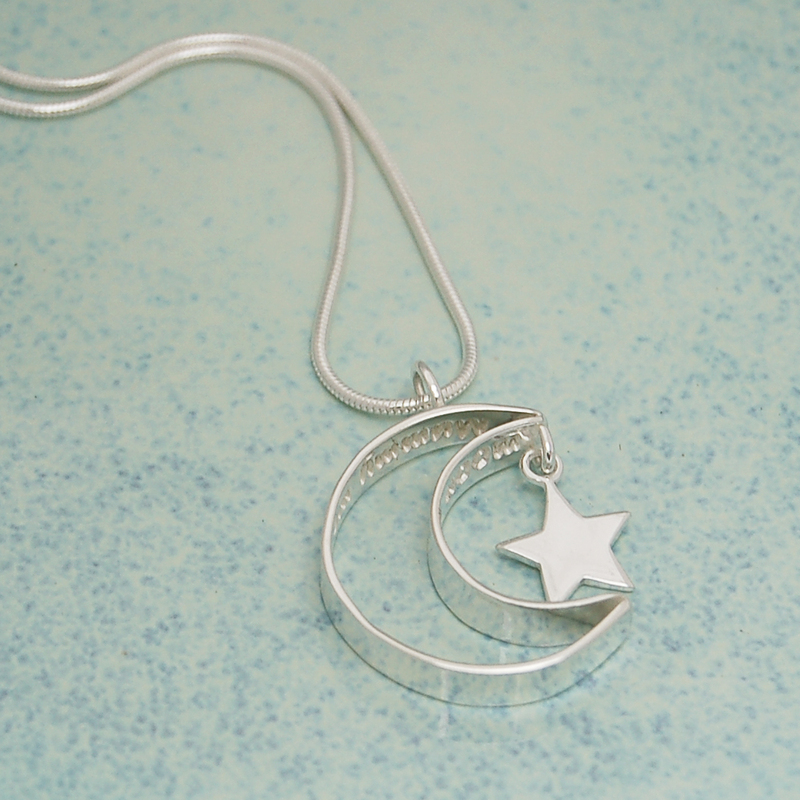 Your own personal message will be etched deep into sterling silver sheet which is then carefully formed by hand into the shape of a cresent moon with the message on the two inside curves so that it is secret and personal to the wearer. 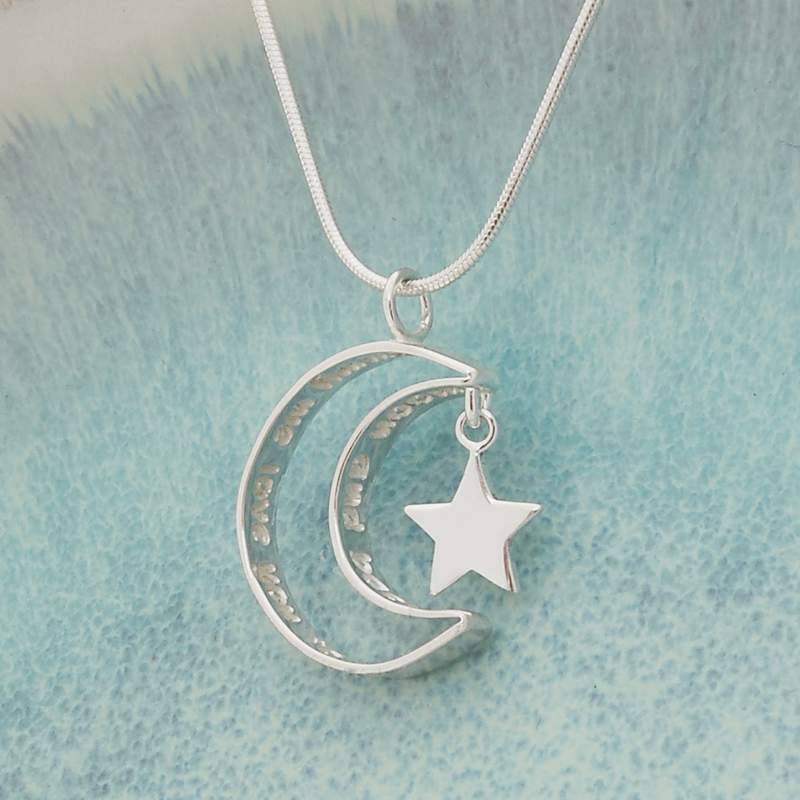 A beautiful and original gift for Mother’s from their children with the message ‘I/we love you to the moon and back’, or to that special someone in your life. 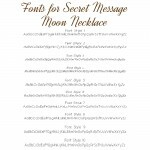 Other ideas for messages include ‘Fly me to the moon’, ‘You are my sun, my moon and all my stars’, ‘Shoot for the moon’, ‘Don’t lose the moon counting the stars’, ‘Live by the sun, love by the moon’. 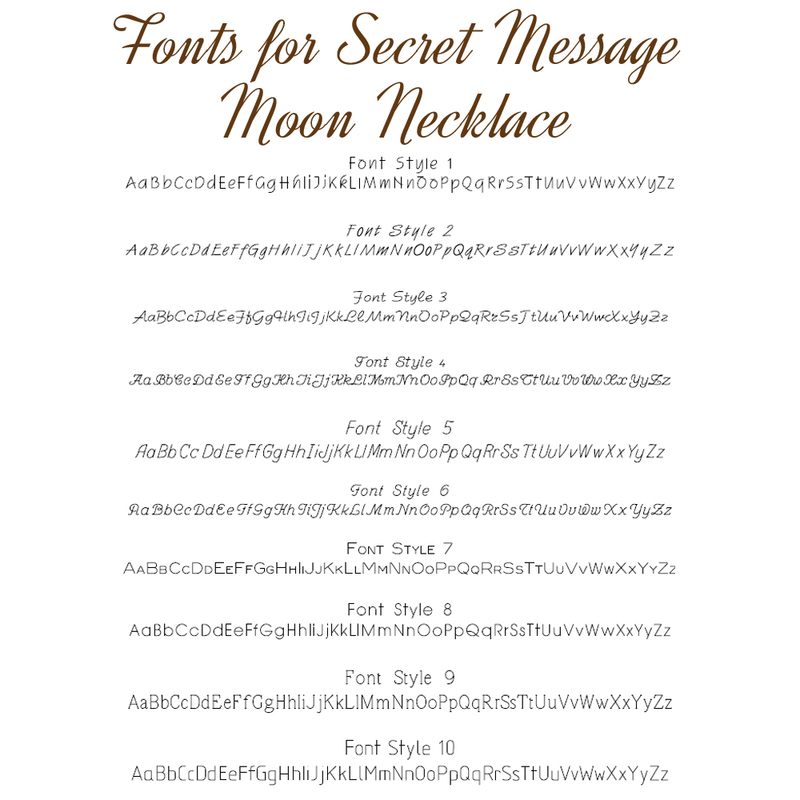 The larger outside curve of the moon can accommodate 24 characters and the smaller inside curve 15 characters and there are a number of different font styles you can choose from to suit your message. 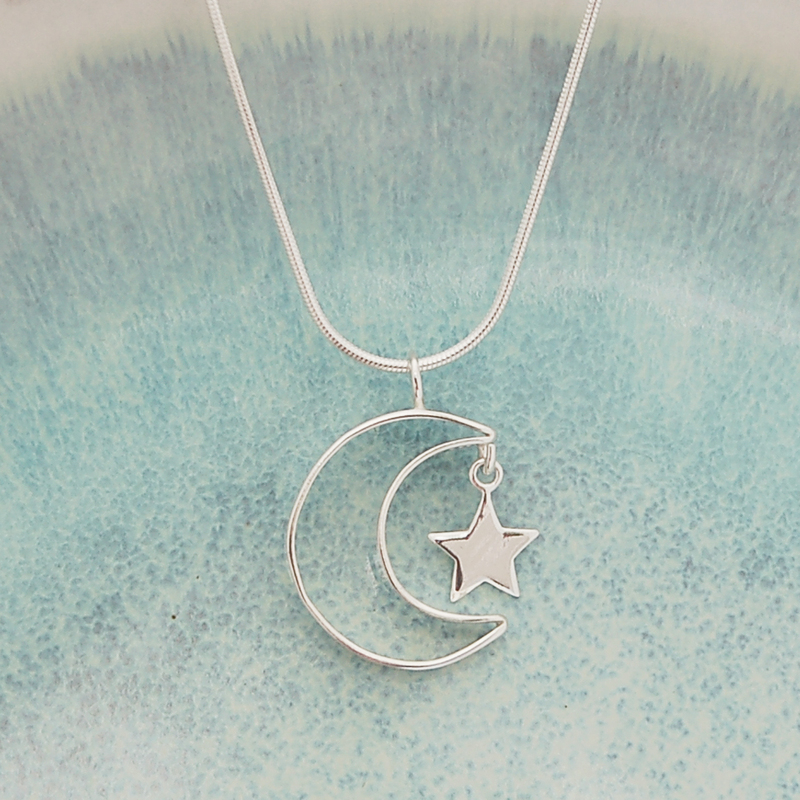 The moon pendant hangs from a sleek sterling silver snake chain which is available in a number of lengths to suit every indivdual. 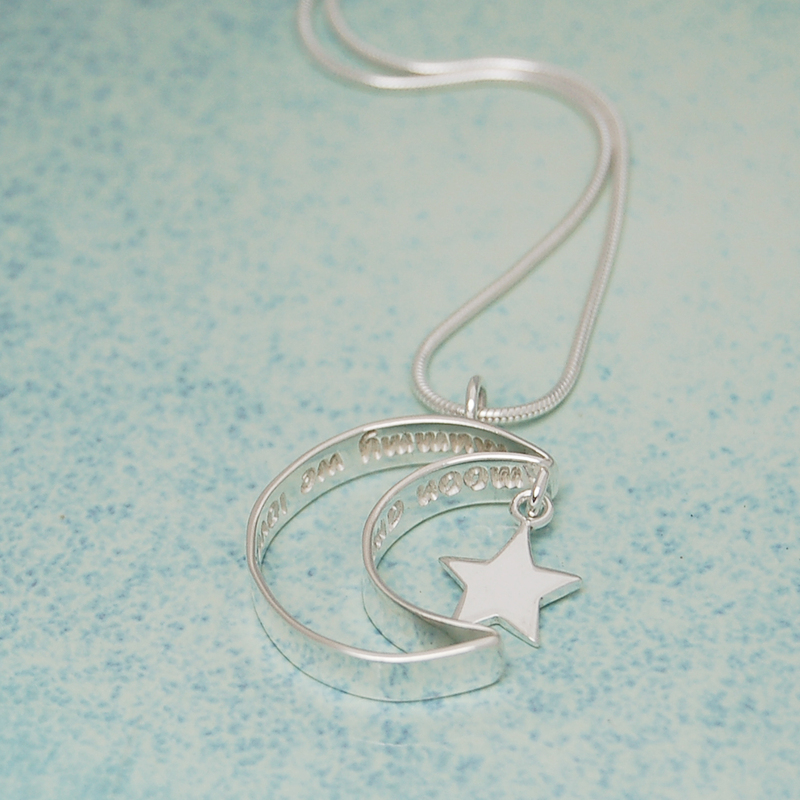 This personalised secret message, sterling silver moon necklace will be handmade in the UK by us, especially for you and will be beautifully wrapped in tissue paper and packaged in an IndiviJewels gift bag, ready for giving as a gift. 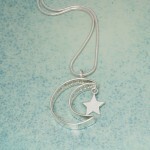 All components of this original contemporary necklace are sterling silver. 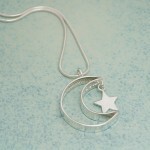 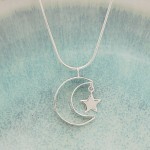 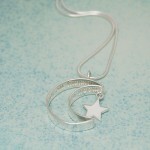 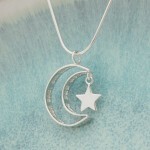 The silver moon pendant measures just over 2cm long (excluding the hanging loop) by 2cm wide and the depth is 0.4cm. 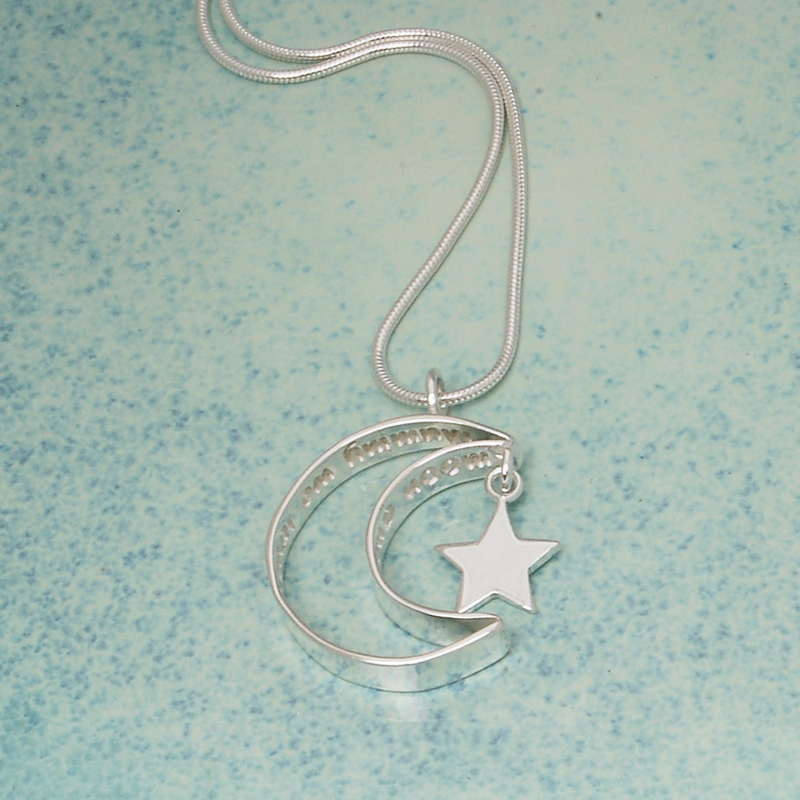 The sterling silver snake chain is available in either 16″ (40cm) 18” (45cm) 20″ (50) or 30“ (75cm) lengths.